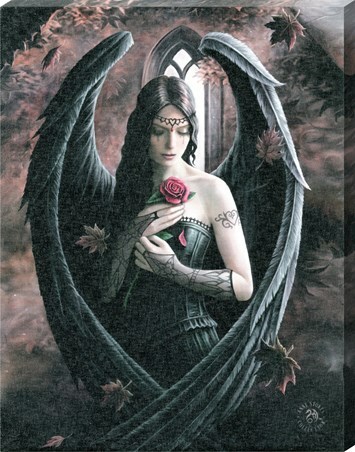 Feel protected by one of Anne Stokes gracious guardian angels with this enchanting tin sign. 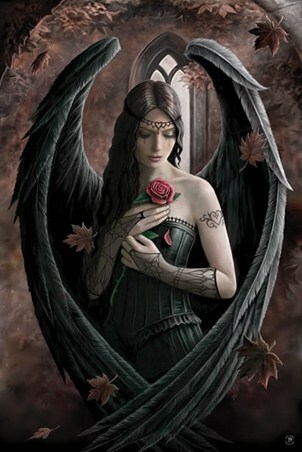 The work from the unique fantasy artist often features mystic heroines from fairies to gothic beings and dragons, set amongst enchanting landscapes. 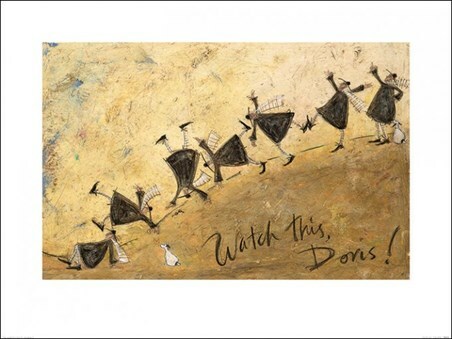 Her designs have a huge fan base, bringing emotion and wonder to many. On this sign, a beautiful winged figure kneels whilst weilding a sword, in the centre of a magnificent building. 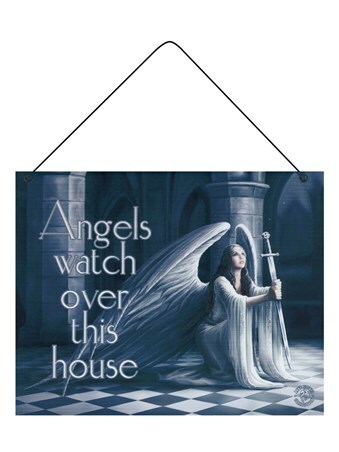 Feel reassured about the safety of your home by hanging this angelic tin sign on your wall. 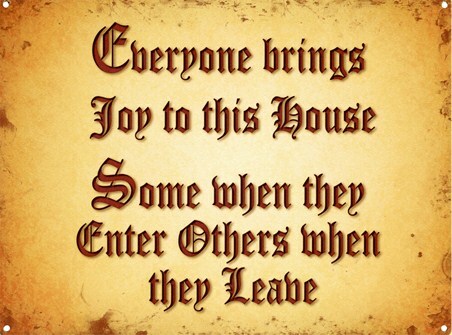 High quality, framed Angels Watch Over This House, Anne Stokes tin sign with a bespoke frame by our custom framing service.